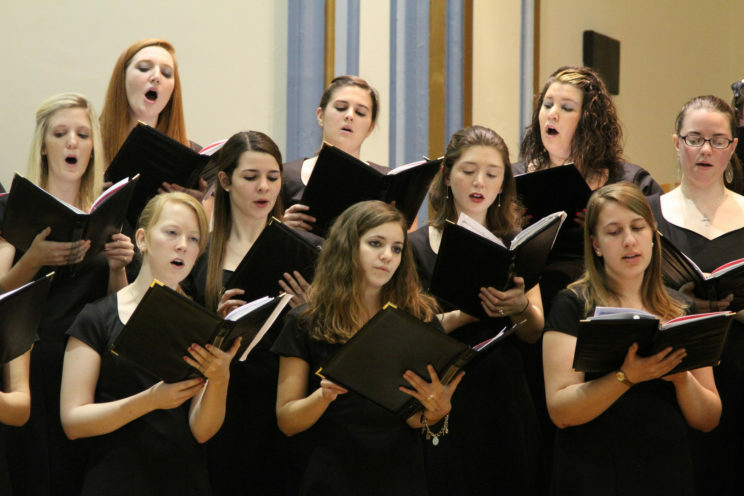 There is plenty of wonderful repertoire dating back to Hildegard von Bingen through the Renaissance, Schubert, Brahms, Holst, and Poulenc, for SATB choirs, but conductors of upper voice choirs don’t have the same breadth of older music to choose from. 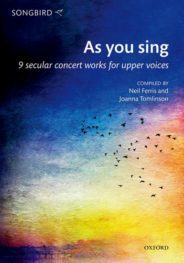 Fortunately, there is now a huge amount of new music and arrangements being written for upper voice choirs, meaning that conductors have some fantastic options to choose from. However, as well as the usual musical and thematic programming considerations, there are some other more specific criteria to look for when deciding whether or not to add a piece to your upper voice choir’s repertoire. Choosing texts appropriate to young people can be tricky. Most teenagers don’t want to sing texts that are childish or could be condescending in any way. Adult humour is different to that of young people, and often ‘funny’ texts that work for young children or even adult female choirs in an ironic way, don’t work so well for teenagers or university students. Take care that the text is appropriate: themes of love can work for all ages and genders, but care does need to be taken with the choice. Themes of nature or seasons and sacred texts, in English or other languages, work well for all ages and genders, as long as the subject isn’t too obscure, and has broader themes, images, or messages beyond the specific text. Immaculata University Music Department Spring 2012 Choral Concert by Jim, the Photographer. CC BY 2.0 via Flickr. Another very important consideration when selecting music for upper voices, particularly for children and young people, is the range of the parts. For example, alto parts shouldn’t sit too low. Although you may need your alto part to go to a low G, avoid selecting music for young people where the part sits for too long below middle C. Also check that your top soprano part isn’t too high for too long; sopranos will be comfortable singing up to a top E and will be able to reach G and A, but their part shouldn’t sit above E for a significant amount of time. Make sure there is interest in all the vocal lines and that the lines all flow and are rewarding to sing. It’s great if the middle or bottom parts can also sing the melody at some point and are not set too low in their range. When choosing music for young people, the harmonic language doesn’t have to be simplistic or cheesy. It’s possible to find music with fairly straightforward lines, but with interest and imagination, even in arrangements. This also applies to the accompaniment. It can be very useful to have some repertoire with straightforward accompaniment for young people and community choirs, but so often these are simplistic or ‘plonky’. Try to look for imaginative writing with the variety of textures that the keyboard can provide. Whether we are programming music for upper-voices or SATB choirs, good word-setting is crucial. All singers like to feel that they can engage with the text. Check that the composer has set the text to allow them to tell the complete story as much as possible, avoiding (unless specifically using a technique for word-painting) breaking up words or segments of text in parts that don’t have the melodic line. It is more difficult to get singers engaged with the words and the meaning behind them if they only get to sing part of a word or indeed if words are missing from a line of text that ends up with their part not making any grammatical sense! Make sure that all stressed syllables end up on stronger beats of the bar; think of the natural rhythm of the spoken text. It makes it harder for the singer to navigate the text (and then memorise the piece) if it feels wrong rhythmically. So, the recipe for a piece your choir will love is a good choice of text, interest and flow in all the lines, care of range, and of course a sprinkling of a composer’s own musical magic dust! Featured image: Birds flying at sunset by Phillip Bishop / EyeEm. Neil Ferris is Chorus Director of the BBC Symphony Chorus, Artistic Director of the professional chamber choir Sonoro, Music Director of Wimbledon Choral Society, and Chorus Director at the Royal College of Music. He is recognised as one of the UK's leading teachers of choral conducting and has led masterclasses in the UK, USA, Ireland, and Denmark. Joanna Tomlinson is the Music Director of the Farnham Youth Choir, the Whitehall Choir, and Constanza Chorus. She teaches conducting for the Association of British Choral Directors and as a workshop leader has led sessions for UK Choir Festival and the Gabrieli Consort 'Roar' and Philharmonia Orchestra education schemes.